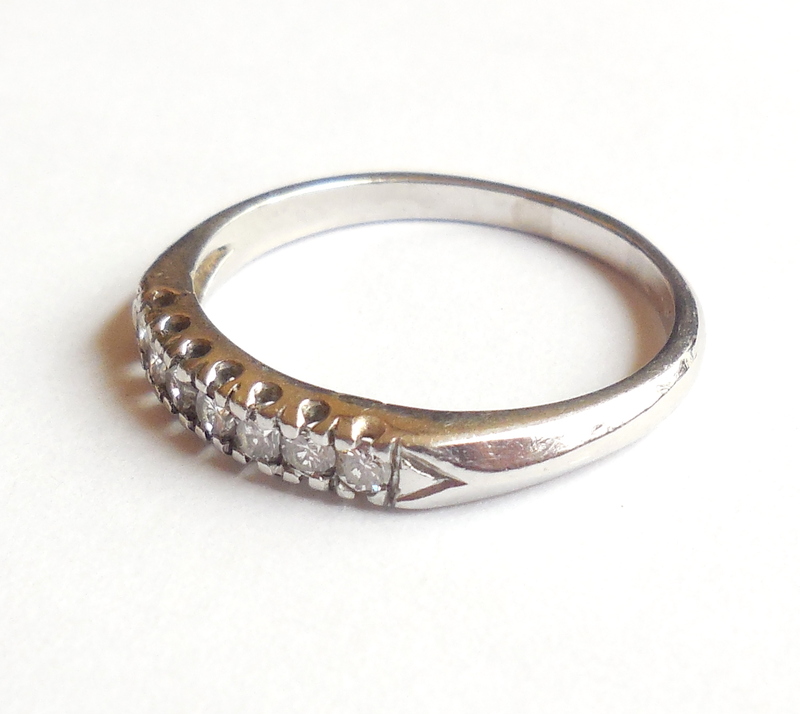 Vintage Art Deco Platinum Diamond Ring Band Size 7 Stacker – A lovely vintage 1940s to 1950s late Art Deco estate ring band or stacker in solid platinum with all of its original natural mined diamond gemstones. 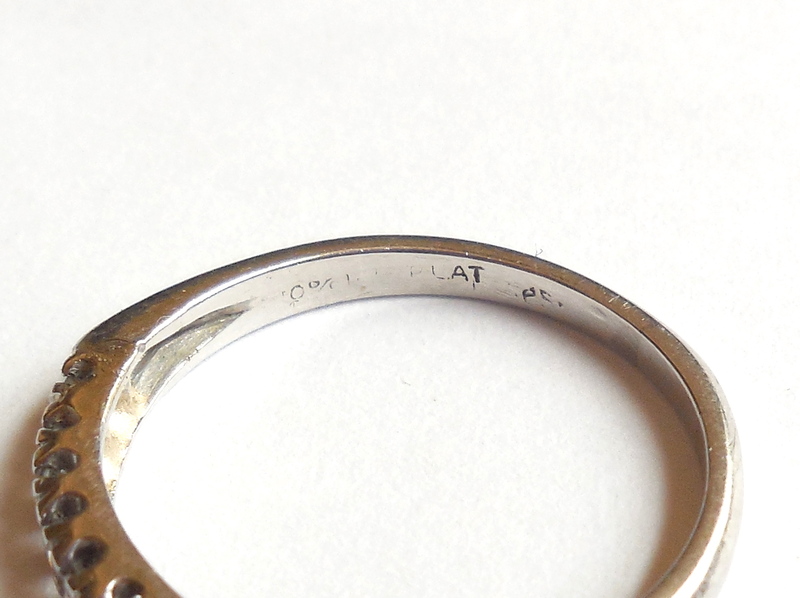 It has old 10% IRID PLAT mark which is age worn but still legible. 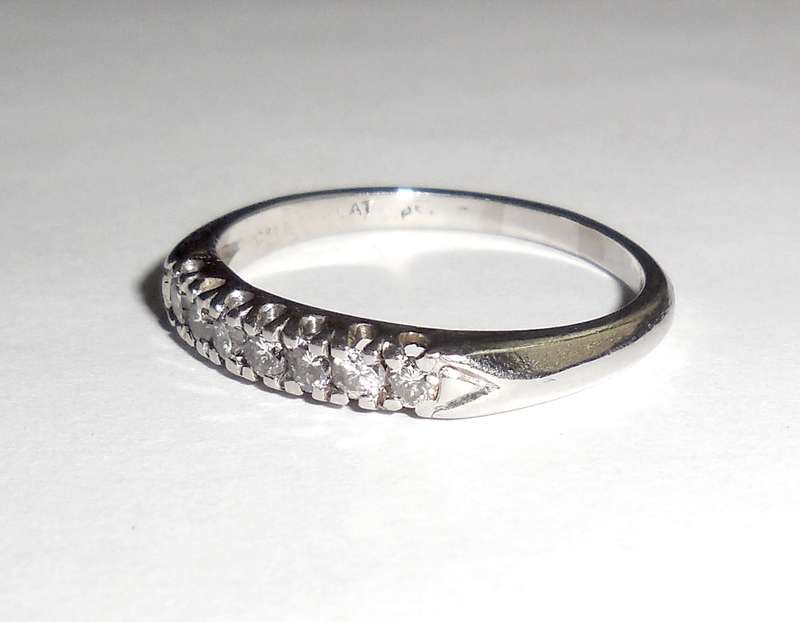 Also, jeweler tested and guaranteed solid platinum. 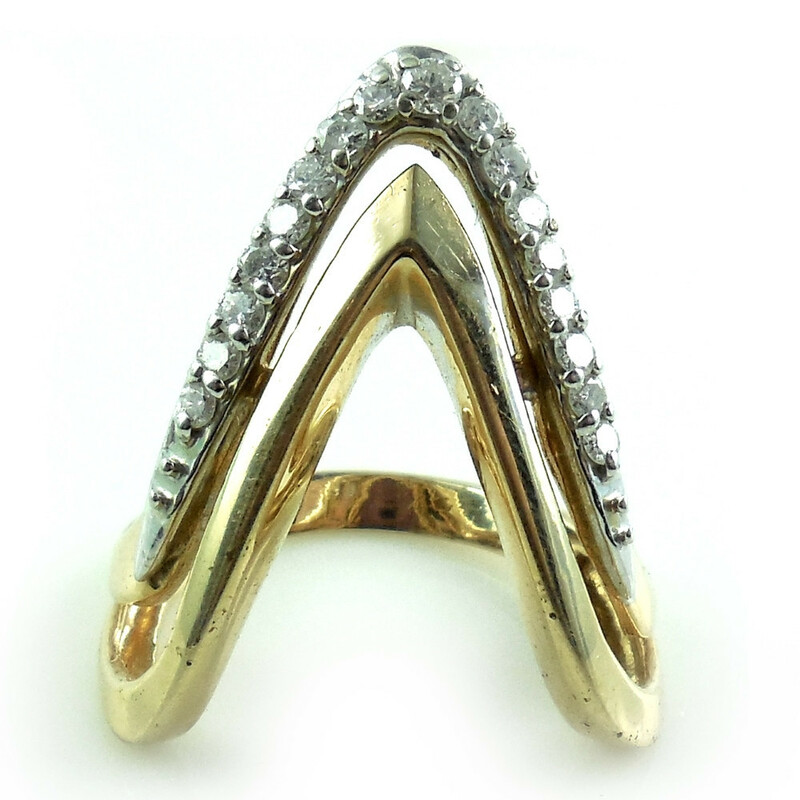 Ring size is 7 – 7.25 and able to be resized by any jeweler. Total carat weight is .21 carat, old single cut diamonds with clean, clear clarity of SI1-2 and near colorless G/H color. No dead, dull, gray or dark stones. All are well matched, clean and sparkly. Condition is excellent. No damage or repair. Never altered or modified in any way. Shank is still nice and thick; not worn down. Light faint age wear that could be jeweler polished but not necessary. Looks good. All diamonds are good. No cracks, chips, abrasions etc….all good stones. Looks charming when worn as either a wedding band or as a stacking band with other gemstone bands. 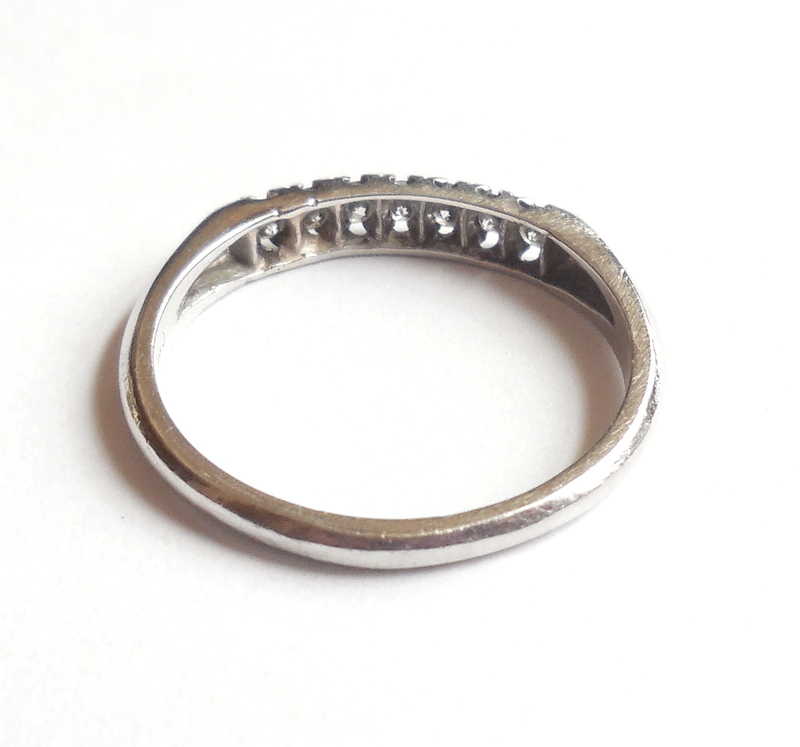 This is a large vintage handwrought sterling silver handmade Balinese ring. 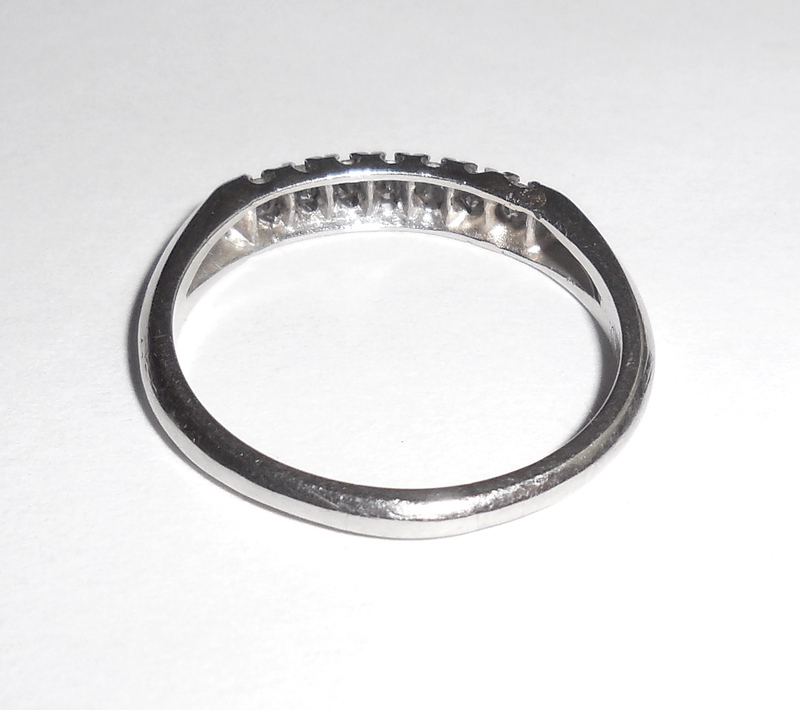 It is marked 925 for sterling silver quality and is also tested and Guaranteed solid sterling silver through and through.....not clad or plated. 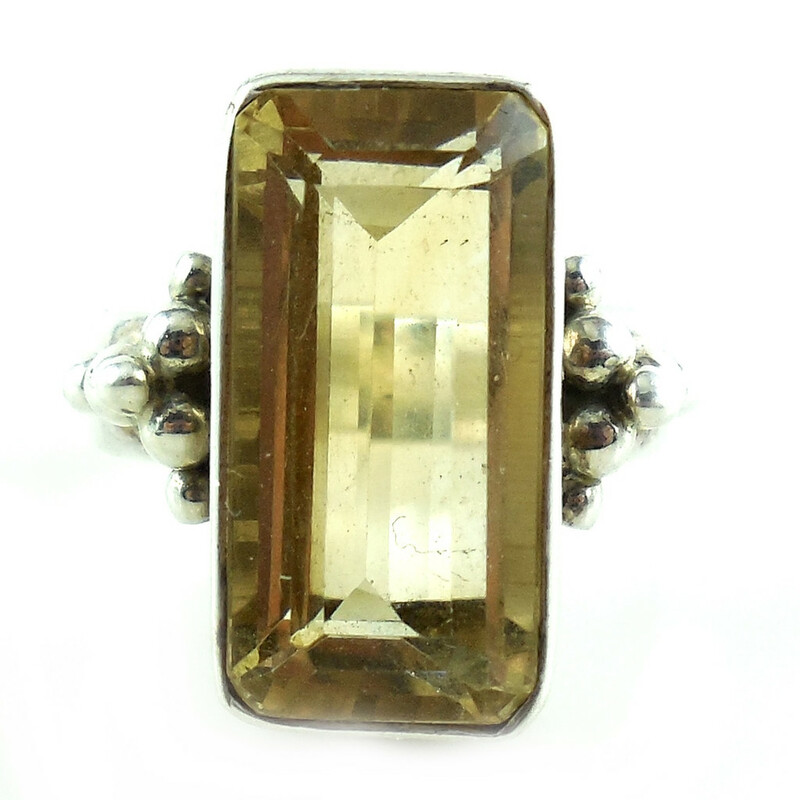 The top holds a large 18mm emerald cut rectangular lemon quartz stone. It has yellow to light gold color and has substantial depth. Ring size is 7. Weight 8.9 grams. The top measures 11/16″ long by 5/16″ wide. Height is 5/16″ (over 1/4") above the finger line. Condition is excellent, gently used. No cracks, chips, breaks or flakes to the stone. The sterling silver also excellent. No cracks, tears, deep scratches or other damage. 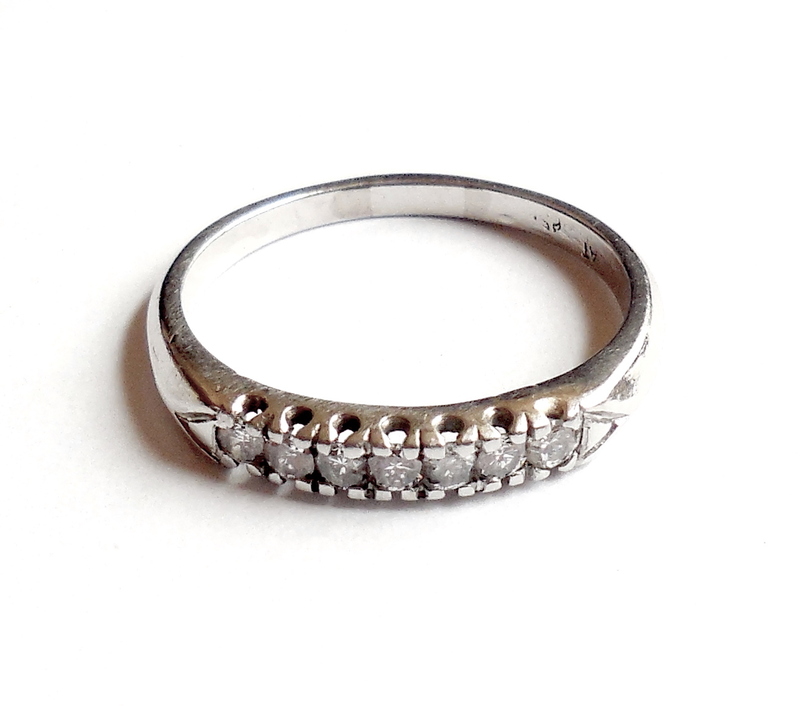 Overall this is a large, thick, showy Balinese ring with quality hand crafting for your vintage jewelry collection. It is very well made and able to be used daily! 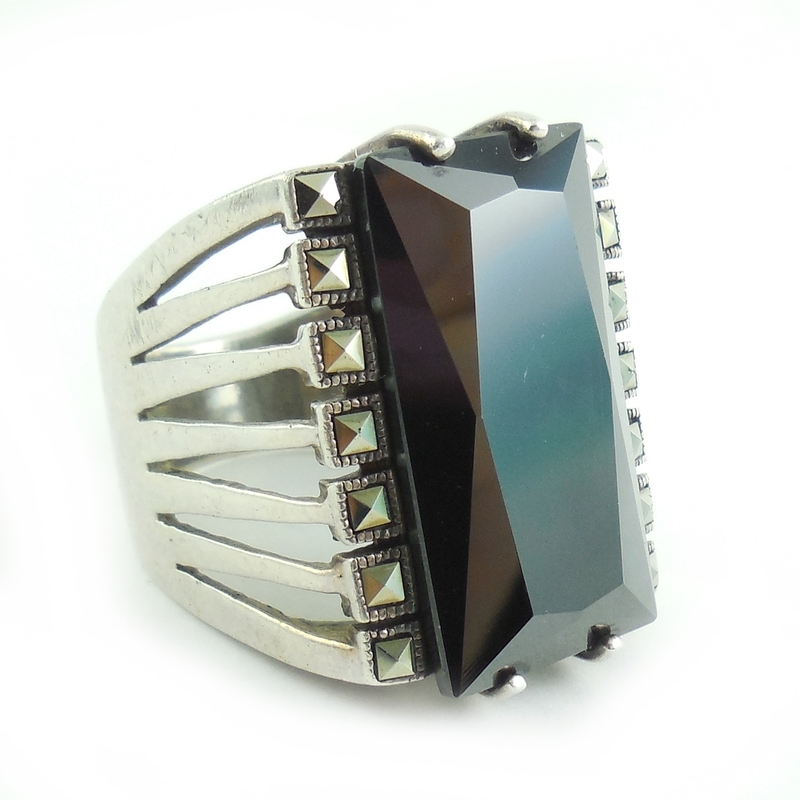 This is a very big, chunky, and heavy Thai sterling silver ring with a large 24mm faceted onyx stone. It is marked 925 S Thai, has been tested and is Guaranteed solid sterling silver through and through......Not clad or plated. All hand made and fine quality. Ring size is 8. Size of the ring top is 1″ North to South by 3/4″ East to West by 3/8″ tall. Weight is HEAVY at 19.7 grams. 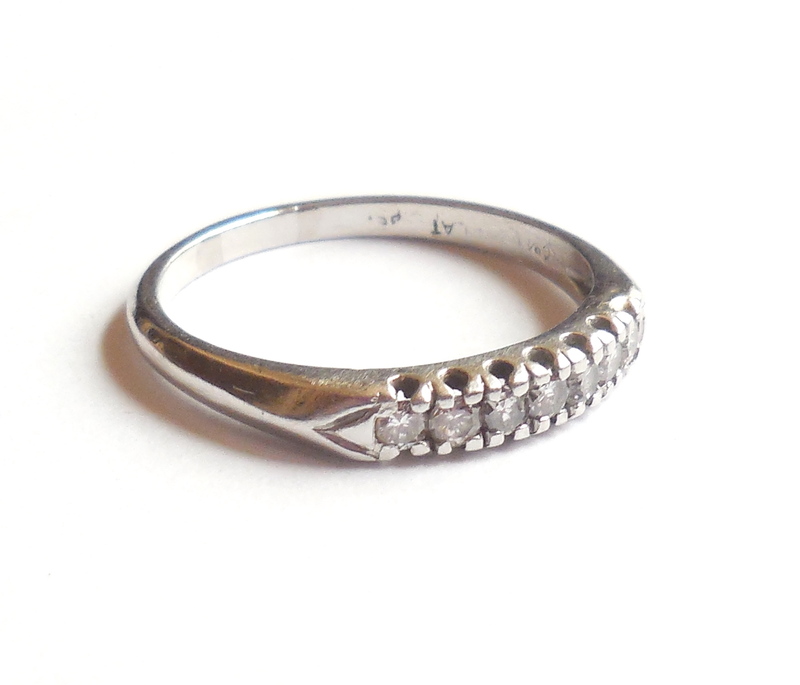 It is also very, very well crafted with thick sterling silver, an excellent stone and 3mm cut steel marcasite accents that are individually bezel with fancy tiny cut work on the edges. The open work sides are all hand cut. 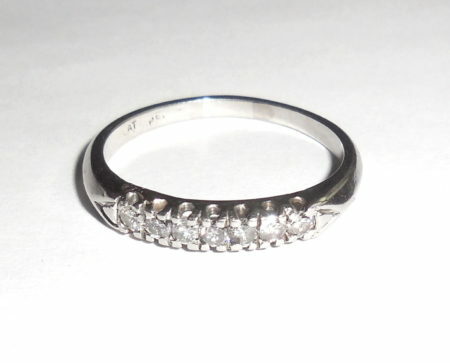 Other than some minor surface scuffs that could be jeweler polished out the condition is excellent, very gently used. No damage or repair. No tears, cracks, deep scratches. Prongs are still good and prong tips are still intact. No cracks, chips, breaks, flakes, abrasions or damage to the stone. 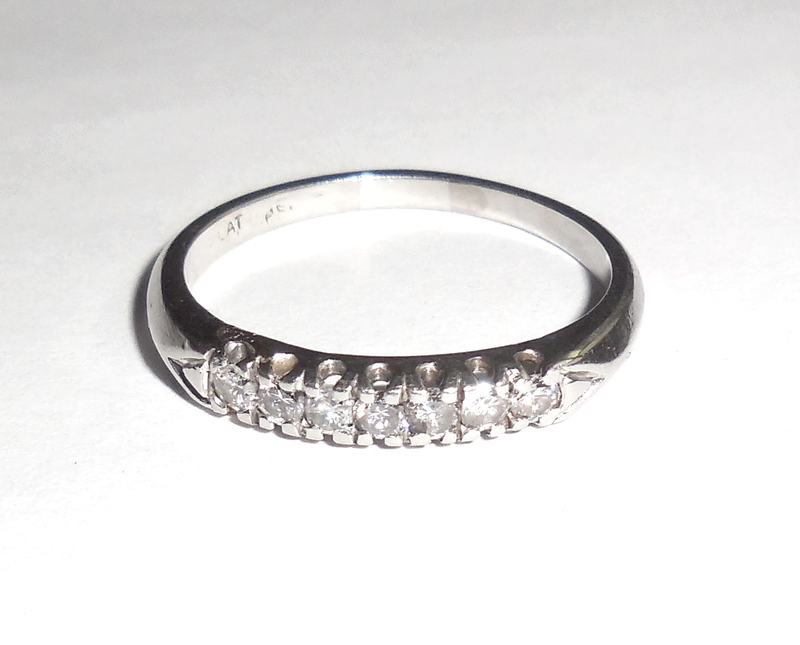 This ring has a nice crisp, clean, high polished stone that is very well cut. 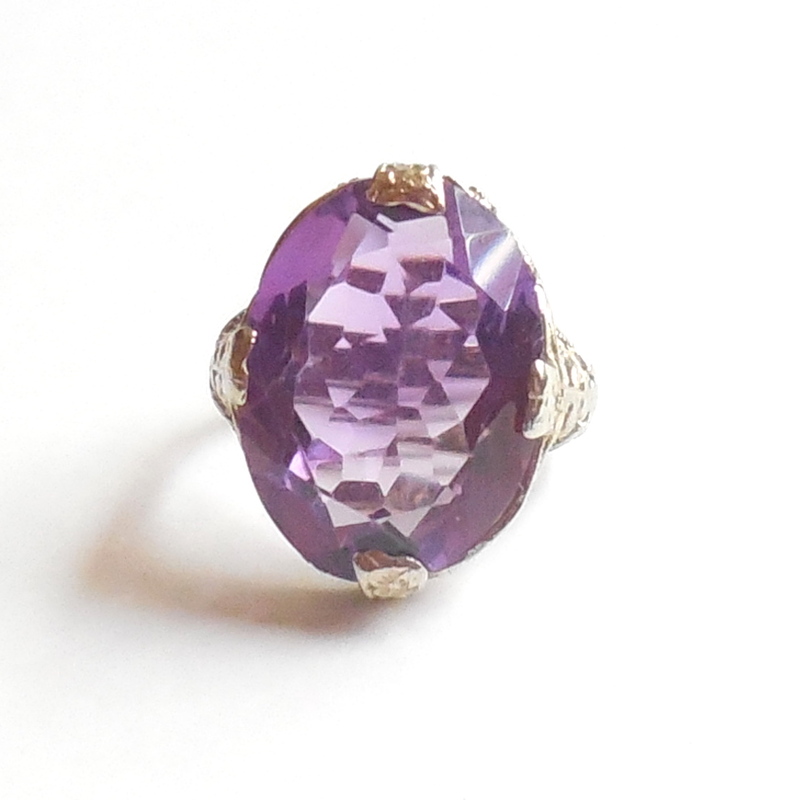 A gorgeous vintage handmade statement ring for your collection; heavy, bold, strong and showy! !